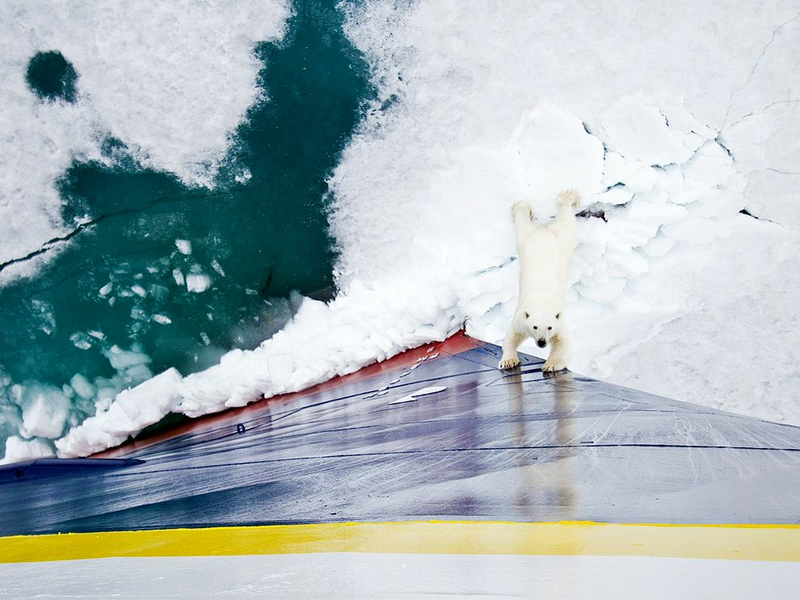 This is an extraordinary image (thanks to Trina for sharing): Polar bear confronts an icebreaker. And depending on your feelings about the collision between man and his technology and the natural world, it is profoundly sad. Ahhh, where’s that guy with the pepper spray when you need him? errm hello up there you are sort of on my patch here, back up mister or i will take you on! The planets’ parasites are back, how much of the world needs to die for them to be happy about the state of their bank accounts? What part of ‘climate change’ don’t you understand? You are not going to park that thing here, now shift!! STOP! So far and no further!!! I just want to know if that poor guy was ok????? please say they didn’t just run him down???? ~UM, EXCUSE YOU!! YA DON’T SEE ME TEARING APART YOUR HOME DO YOU?! ~HERE COME THE KIDS!! NOW YOUR IN TROUBLE!! Really, you’re gonna stand there and take my picture? I could some help here. I mistakenly left out the words just and use. I think that’s appropriate when responding to the attitude that it’s okay for us to just use what ever we want.